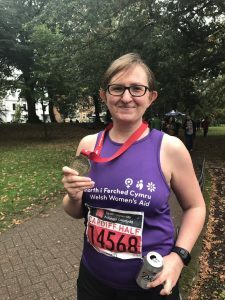 Welsh Women’s Aid has charity places available in the Cardiff University Half Marathon taking place on Sunday 6th October 2019. We’d love you to join our team! We simply ask you to raise £250, including a £10 deposit to secure your place. You’ll be helping us to prevent violence against women, domestic abuse and sexual violence across Wales, campaign for effective policies and services, provide expert training and advice, and support those affected in our communities. If running’s not your thing, but you’d still like to set yourself a challenge to support Welsh Women’s Aid, there are a huge range of sporting events taking place throughout the year across Wales and beyond. Just sign up to your preferred event, create your Just Giving or Everyday Hero fundraising page, and remember to let us know! We’ll provide you with all the support and the resources that you need. If you have any queries, please contact victoriasamuel@welshwomensaid.org.uk Thank you!